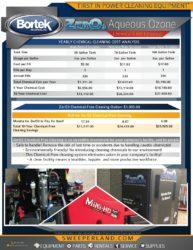 Factory Cat MicroMag- Floor Scrubber - Bortek Industries, Inc. 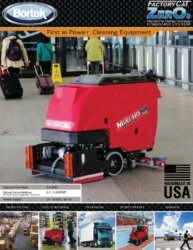 Available in traction (MicroMag) or pad assist (Micro) versions, Factory Cat MicroMag walk-behind scrubbers come with your choice of 17″ or 20″ disk scrubber. 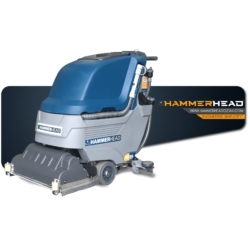 These compact scrubbers are designed to clean busy fabrication plants, congested machine shops, car dealerships, busy tractor trailer service bays, lunch rooms and any other place where industrial cleaning is necessary. 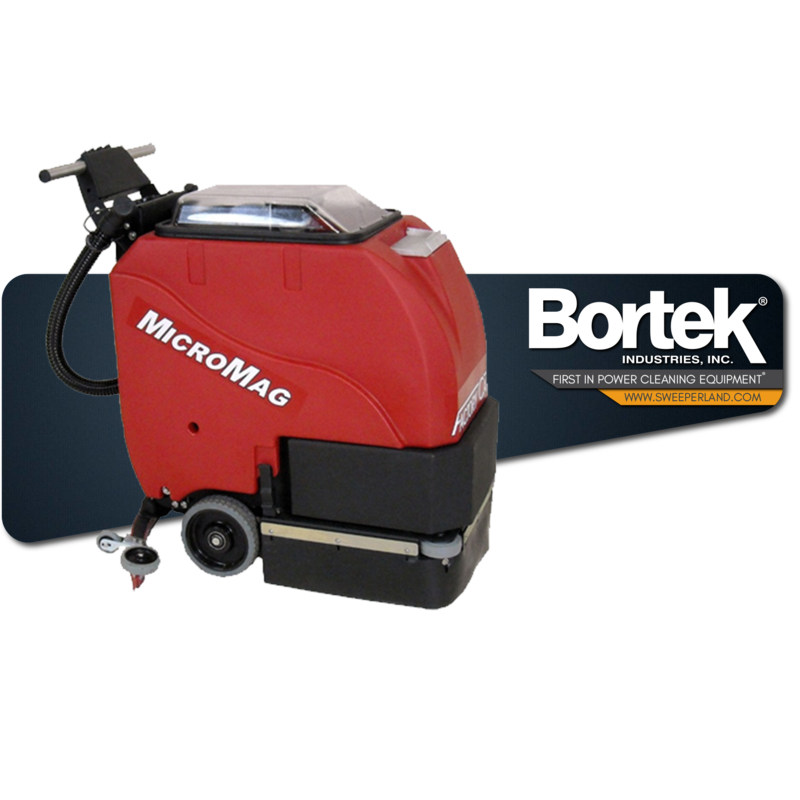 The MicroMag achieves exceptional productivity with its large battery and 10 gallon recovery tanks. 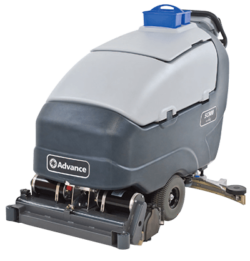 Designed for level surfaces, the pad assist model that is self-propelled makes cleaning effortless for the operator. 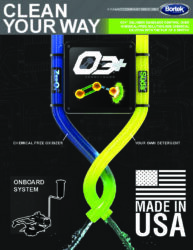 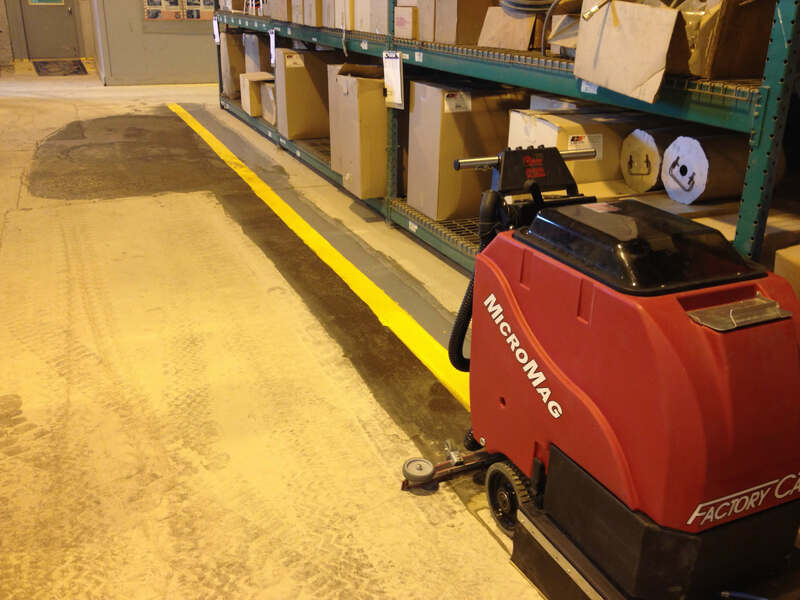 Traction drive models make climbing ramps and working on non-level surfaces easy and the laser cut steel squeegee has a “break-away” design for durability. 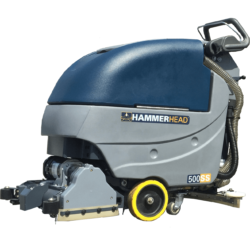 The low hood and adjustable handlebar allows the MicroMag to be comfortably used by workers of any height. 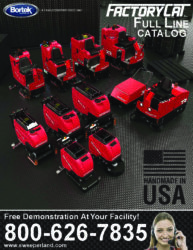 Made in America, the MicroMag also features a heavy steel construction, bumper wheels to protect from marks and non-marking tires. 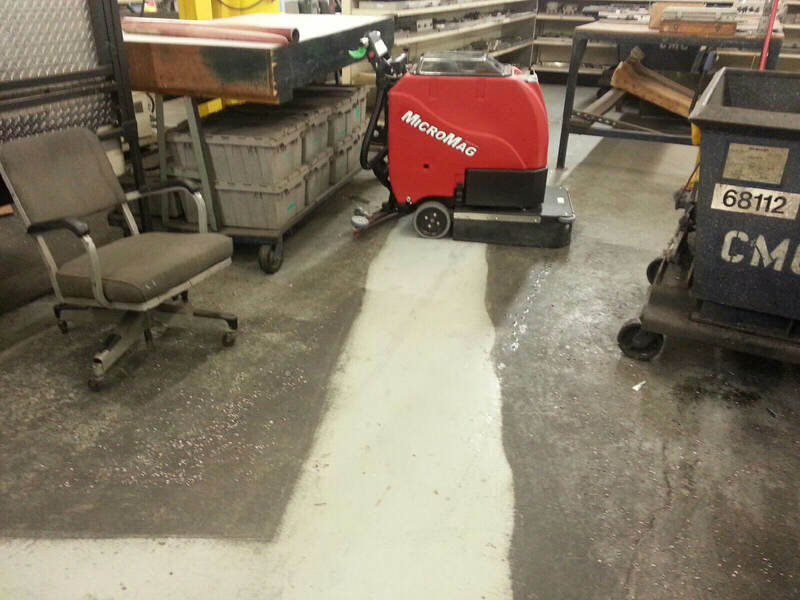 A tank baffle separates the recovery tank and motor to protect the motor from foam. 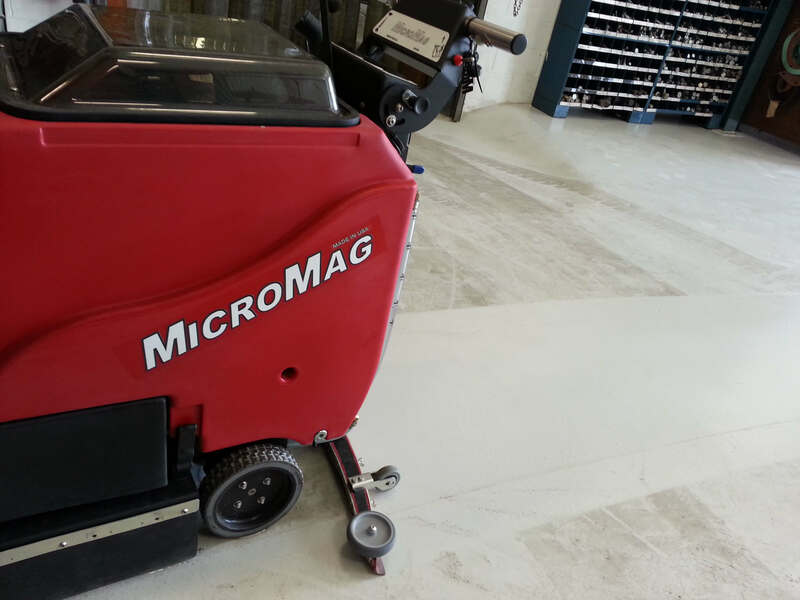 Its quiet operation allows the MicroMag to be used during normal working hours without disturbing coworkers. 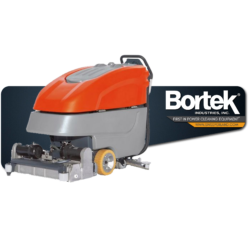 The Factory Cat MicroMag is a small rugged, practical and economically priced walk-behind scrubber that delivers high cleaning productivity.